FITS is a riding apparel company headquartered in Aiken, South Carolina and dedicated to the art and science of riding apparel. Their patented products are the result of an intense pursuit of giving the wearer an enduring advantage and comfortable fit. They constantly research the physics of riding; the spectrum of technical materials; and the newest sewing techniques, seeking the characteristics that matter most-high performance, outstanding comfort and flattering fit. The FITS design team are themselves riders, with years of state of the art athletic product development experience. All FITS designs are born out of repeated trial and unmatched commitment to quality. 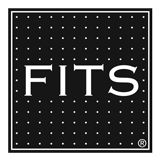 FITS is proud to have raised the bar for technical innovation in equestrian wear. FITS has partnered with Stable View to provide $100 product vouchers to the winners at Stable View’s Recognized Dressage Shows, and both Schooling and Recognized Horse Trials. Stable View seeks to provide riders with a high quality prizes, and the partnership with FITS will drive business to FITS’ new retail store. FITS was also be recognized as the title sponsor of one of the 2018 Oktoberfest Cross-Country water complexes. Stable View is pleased to be able to offer vouchers towards FITS’ high-quality apparel to competitors, and to support another local Aiken company with a mind towards customers around the corner and around the world. Lida Bard, owner of FITS and a rider since the age of 8, is a member of the Aiken Young Professionals’ Assocation and is proud to partner with Stable View. Barry Olliff of Stable View sees sponsorship as a mutually beneficial endeavor, and is pleased to reward our competitors with FITS vouchers. Stable View is a preeminent international equestrian training facility located in Aiken, SC. It hosts a variety of both schooling and recognized events throughout the year in a variety of disciplines. 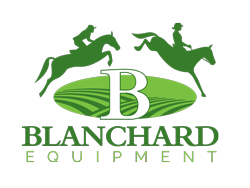 The facilities boast two cross-country courses, three outdoor arenas, a covered arena, 5 barns, 100 temporary stalls, and grass dressage area, in addition to apartments available for rent. The new Stable View Pavilion is a state-of-the-art LEED Gold Certified building and will serve as the central point of the venue, and is available for rental for weddings, corporate retreats, and other events.